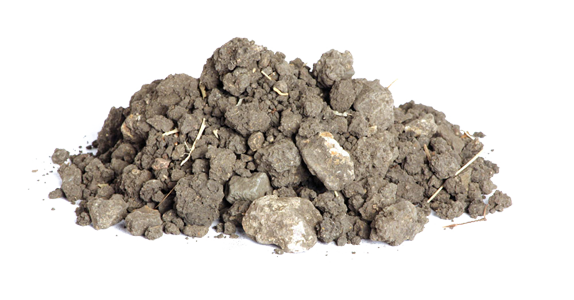 The soils of Copper Streak are composed of gravelly loam from the Perkins soil series. 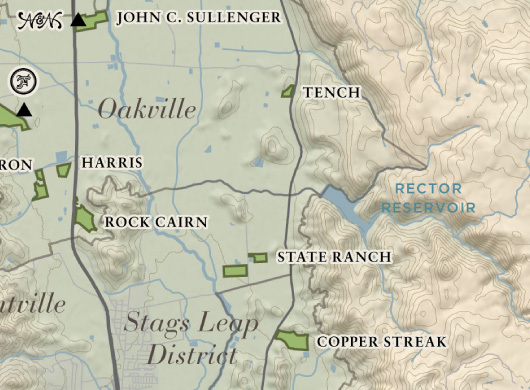 Copper Streak Vineyard is located in a protected hollow at the base of the palisades in Stags Leap District. The soils are composed of Perkins gravelly loam mixed with red, copper-like streaks, which is how the vineyard got its name. The vines receive a western exposure and are of moderate size, yielding loose clusters with small berries. The climate in Stags Leap is very warm, however, midafternoon breezes sweep in to cool things down, allowing for excellent ripening. 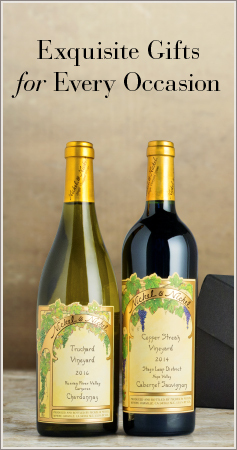 Nickel & Nickel Copper Streak Cabernet is produced from seven of the vineyard’s 30 acres. Budbreak started about four days earlier than usual in this gravelly loam vineyard. With its western exposure and moderate-sized vines, this Stags Leap site consistently yields loose cluster with small berries. The fruit set was exceptionally small in 2015, with moderate summer temperatures and warm mid-afternoon breezes creating ideal end-ofsummer and early fall ripening. The entire vineyard was night-harvested in mid-September, with all three blocks filling a single fermenter.